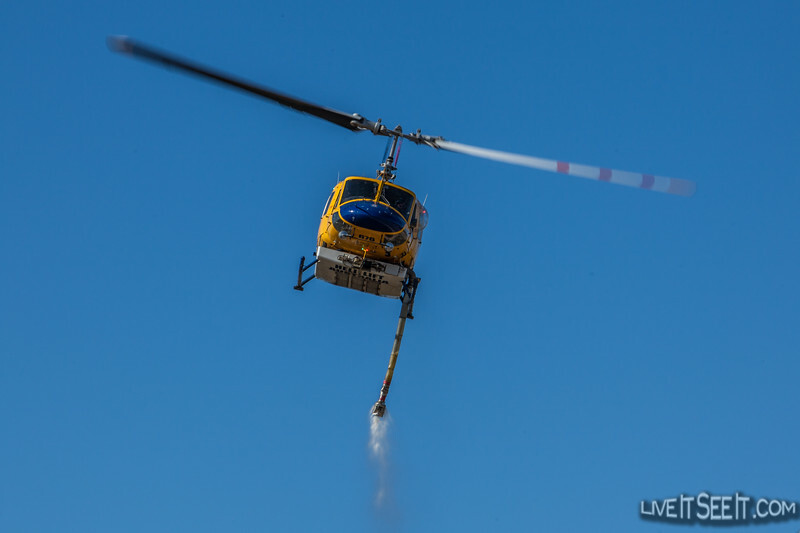 Perth firefighters were kept busy today with a number of bushfires and a structure fire starting during the afternoon. This bushfire started near Brentwood Rd Kenwick. It burned fiercely and crossed the nearby major roads of Tonkin Highway and Welshpool Rd, which were both closed during the height of the fire. An Emergency Warning was issued for the fire with properties under threat. 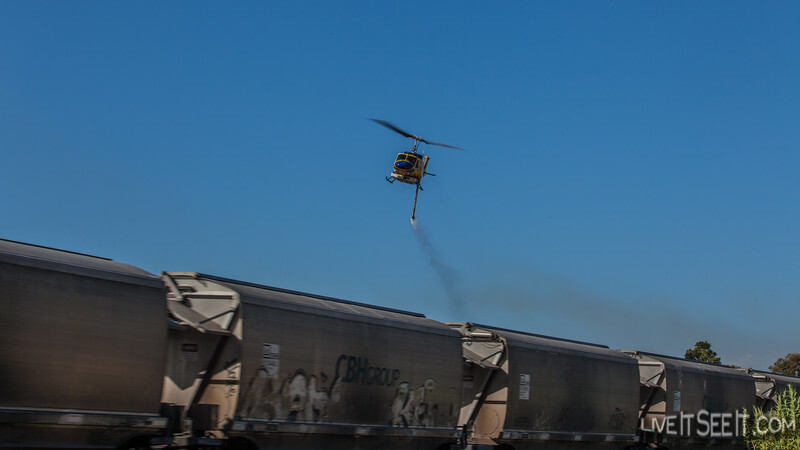 WA’s Helitacks, provided to DFES by McDermott Aviation worked hard to protect properties and assist firefighters on the ground to contain the fire. 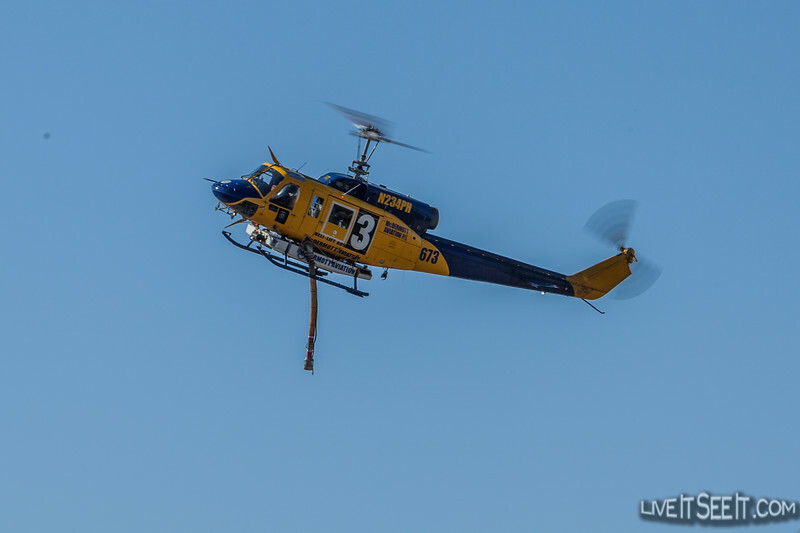 Photographed below and in this gallery are Helitacks 672, 673, 674 and 676. 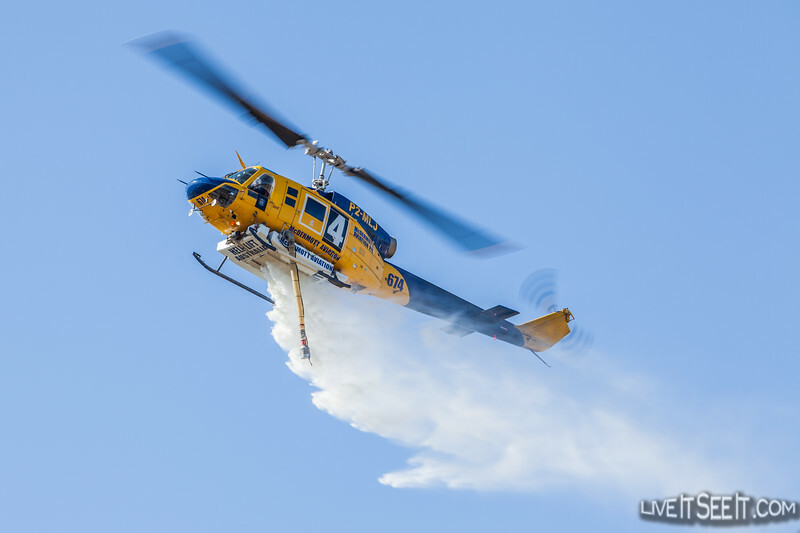 Also attacking the fire was Helitack 739, the Erickson Air-Crane known as “Georgia Peach”. 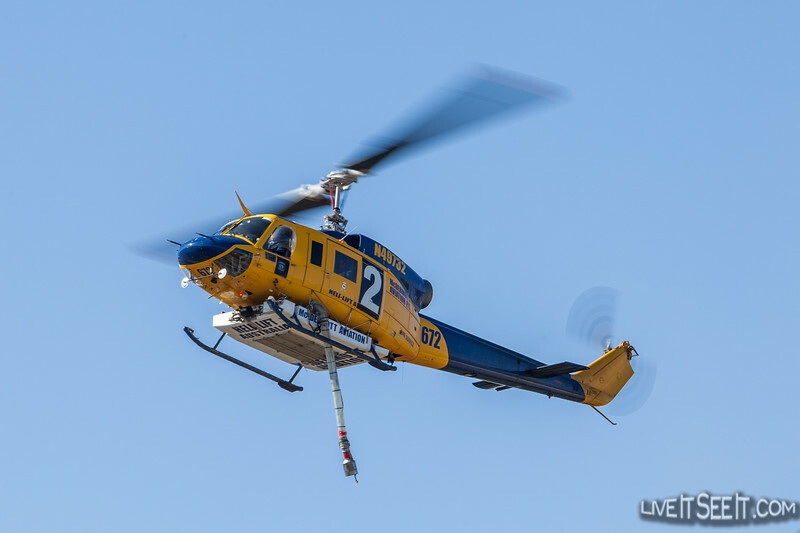 A firebird being used as air attack platform, as well as the Air Intel aircraft were also on scene.